Rated 5 out of 5 by iggyazelea22603 from My tribe rulez luved it!!!!!!!!!!!!!!!!!!!!!!!!!!!!!!!!!!!!!!!!!!!!!!!!!!!!!!!!!!!!!!!!!!!!!!! Rated 5 out of 5 by hermette from Love It! I've been playing this game forever. It isn't a fast paced game and there no time limits. You can move on as fast as you want or kick back and have a nice relaxing time. I don't know when this game was put out, but I think it has been years. My question is, when is My Tribe 2 coming out?! Rated 5 out of 5 by ShaneONeill from better than minecraft i cried so much when they took it off facebook i was more happy than when i got minecraft when i bought this game! Rated 5 out of 5 by Eddygas73 from Daughter loves it My daughter loves this game she barely lets anyone else use the family computer! She breezes through all four of her tribe accounts on the game! In other word if my daughter loves it i recommend this game! 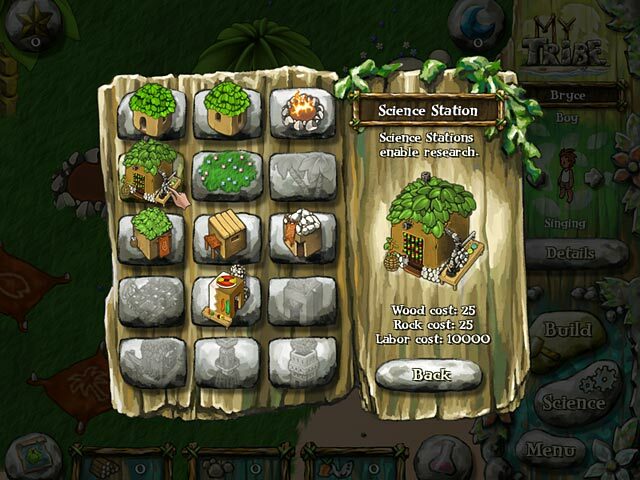 Rated 5 out of 5 by tinate0729 from Relaxing Fun! I have played this game several times now, and always find new and interesting things. it is challenging enough to keep your interest, yet easy enough for young kids to enjoy as well .Unlike virtual villagers, I love that the babies are walking instantly and the mother can go right back to work! I'm hoping that the developers will come out with a sequel, and add new challenges such as building a hospital, a school, and a nursery for the babies to play in until they are old enough to work the island. I would recommend this to all who enjoy the virtual games!! Rated 5 out of 5 by Tina_TX_W77 from LOVED this game just a fun slow paced game to enjoy and i thought it was very cute with making babies.. i kept trying to make smarter and smarter ones lol , watching the first ones grow old then have graves for them while your smarter children grow up and take over. overall great game to play..stuff to build and things to do. Rated 5 out of 5 by LifeSimmer from Better than... Hi so I have been playing My Tribe for ages and I think it is wayyyyyy better than virtual villagers, I definitely recommend this game to all virtual lovers like me and want a nice game that is a lot of fun. Rated 5 out of 5 by AArro from Love it but can't play it anymore I purchased My Tribe several years ago and really loved to play it. But since upgrading my Mac to OS X 10.8.4 the fun is over. Why don't you release an update??? PLEASE!!!! I miss my tribe!!! Rated 5 out of 5 by particle409 from Better than your average Virtual Villagers clone Better art than Virtual Villagers, just lacking stories and puzzles. Still an enjoyable time waster. Rated 5 out of 5 by Laurenator10 from BEST GAME EVER !!!!!!! this is the funnest computer game ever. You would really enjoy it. there is so much to do on this game and its not hard to learn how to play. I absolutely love this game and its so addicting!!!!!! 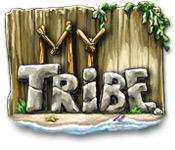 Rated 5 out of 5 by LucciKun from The Best Tribe Game Ever 'My Tribe' is one of the most entertaining games ever. It may seem kind of confusing when you start playing it, but once you get used to it, it becomes of the most addicting games ever. It brings out a desire in you to build the best tribe ever which makes you want to keep playing the game even more. You can play this game for hours without getting bored. Highly recommended for those who like real-time games which pose a challenge! Rated 5 out of 5 by mach37 from A Close Call I quite enjoyed My Tribe, and found it very interesting that for once you'd actually move around and discover new things. It was very similar to Virtual Villagers in my opinion atleast you don't have to play for 8 hours to earn 10 skill points. If you have a lot of free time this is the game for you! Rated 5 out of 5 by majorwipeoutgirl from My tribe! best game ever. i love how the intro explains everything! love the huts too, so cute! Rated 5 out of 5 by Sami51 from Easy..Silly...Really Fun! I was hesitant to buy this...seemed so silly....BUT I REALLY ENJOY this little lark of a game! The graphics are good and so is the music...although they could change it up a little..I find myself humming the music in my head..ANNOYING!.. :) I now have 2 Tribes going (under 2 players) and really look forward to watching their progress through the various chores I give them...and solving the "Mysteries" gets you bonuses to use. It is very relaxing and fun to play...a liesure game...even for those of us who usually like more of a challange! Would be fun for parents/kids to play together! Rated 5 out of 5 by Connemmy from My Tribe Awesome. The graphics could be better, but still, the way the game is played is most definatly entertaining. Rated 5 out of 5 by nthangam from Awesome! 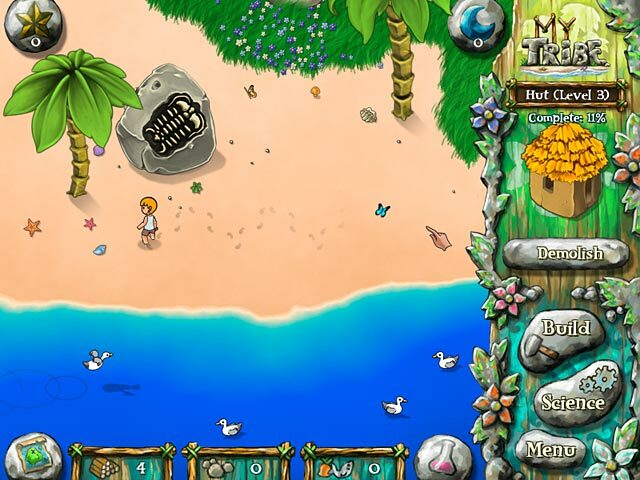 I loved this game so much I loved how you ran trough it and how you could explore more Islands later! :) It was a great game! I rate this "Thumbs Up!" Rated 5 out of 5 by sugarmag420 from One of my favorite games! Not only is this game fun, it also lasts a long time. I can get through most of the other time management games in a few hours. This one lasted much much longer. I love the interaction with the characters, and the fact that you can do so many things with them. I wish they would make more like this! I get tired of the same old repetitive games they keep coming out with. Rated 5 out of 5 by emila01 from AWESOME This game is the best ever! i want a sequel with pets and hunting and magic and stuff. 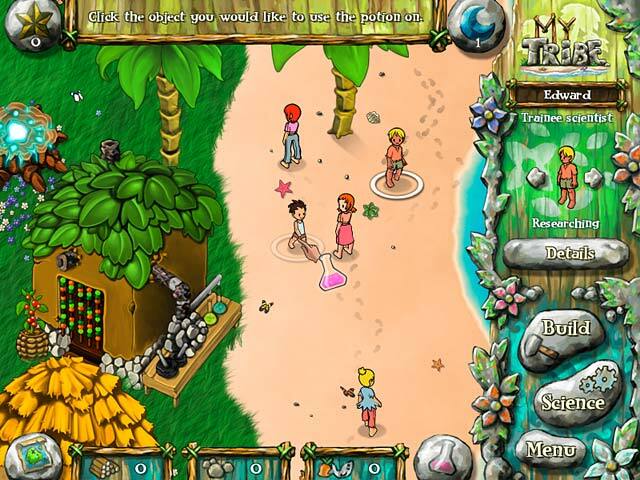 Rated 5 out of 5 by bleachedbeauty from Addicting "My tribe" is the fun, strategy game that is shockingly addicted. It's better then any other tribe game that I've played. It started when I first opened the game up, launching it making a profile, and starting the tutorial. My alter ego told me that I din't need any help, so I started the game, expecting just a silly, dumb tribe game, of nothing but picking up wood and stacking it. But then, after about 20 minutes of the game, I started to understand how hard that it could be, just to simply feed a whole tribe, and just to build houses for the tired ones. It was one of the best story lines a tribe game could have, really. I put my tribe to work, as they where learning the new things that really haven't done before, and before I knew it, I was learning along with them. The challenge of feeding, housing, and healing a tribe actually all came down to realize, that at the start, we where just a lost tribe, trying to find the things we needed to stay alive, but then when you started to go along with each other, you then notice, that you're not just a tribe anymore, you're actually a family. The music going along with the game was just correct, just a simple tune and beat to get your mind racing with the game. The children in the game were absolutely cute, and so where the adults, they had the normal body, faces, and hair, and it made me think of a person, not a cartoon. And I also learned the saying "It takes a village to raise a baby." Rated 5 out of 5 by dct123 from BEST GAME EVER!!!!! I Have Played This Games For Years And I Still LOVE it. Rated 5 out of 5 by Elriana from Fun simulation game! it's like the best game ever! i love simulation games! especially my tribe. you have to try it! Rated 5 out of 5 by big_fish_fan from i loved it im buying it It was the best game i have ever played-by far i am going to buy it - 10 out of 10! Rated 5 out of 5 by Anikaaa from Awesome! Definitely worth the money i spent.